I am interested in purchasing JUST the bases for the various Dimensions figures, vehicles and mini-builds. I assume most folks will be looking for the Lego, I'll happily help you recoup some of the cost if you have no interest in the base. 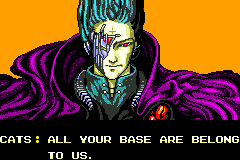 It's all about that "base"...that "base"
I am curious why you want the bases. Is it so you can play as those items without buying the packs? So you want just the bases..no figure or mini build? Is this correct? Some just want to play the game, some just want the minifigures. I, for instance, am the opposite. I want some of the minifigures, but won't be getting the game, so I'll offload the bases to someone that is just interested in the game. Yes. As I am not savvy enough to manage a programmable RFID chip, I'm content to gobble up some unused bases. I'm pretty sure all the vehicle and weapons are generic tags/bases....I only know because I overwrote my delorean with a hoverboard.......so you don't need a specific tag for a specific vehicle...the instructions are with the figure (or the level with the level packs) so for any vehicles you just need generic vehicle bases. Correct - but I figure if you buy the pack, you probably want to unload all two, three or four discs. All of you minifigure competionists out there must have purchased a Jurassic World set or the Ninjago sets and don't want those silly bases for the game. how much are you buying the bases for? Going rate seems to be about 30% of the cost of the set. If I dont end up buying the game....... Probably will, but if I don't I will be getting the stay puft and slimer next year as soon as they come out. If I dont have the game by then im just wanting the figures. So I may part with those if interested. I may get cyborg, and the joker harley quinn set also. Did anybody buy the LotR, Chima or TLM figures? Looking for the Doctor Who bases? Probably the last update - but I am still looking for some bases! Do you still need Krusty? Yes, I do. Please PM me! where did you get Bane from already then? Also got a Cragger. So at this point, I'm only looking for Nya and the Ghostbusters Level Pack. Happy to report I think I've got just about everything covered through Wave 5. If someone is planning to pre-order the Superman Fun Pack, drop me a PM! I'm going to bump this... in anticipate of a new wave of discs - and if someone bothered to grab a Superman recently. I am also interested in the discs for the Green Arrow and Supergirl that were SDCC exclusives. Please drop me a PM! @SumoLego I will most likely be getting both Adventure Time sets, Mr. T, E.T., and Gremlins. Don't need bases for any of them.